Here's three new photos from my "Hands" project. 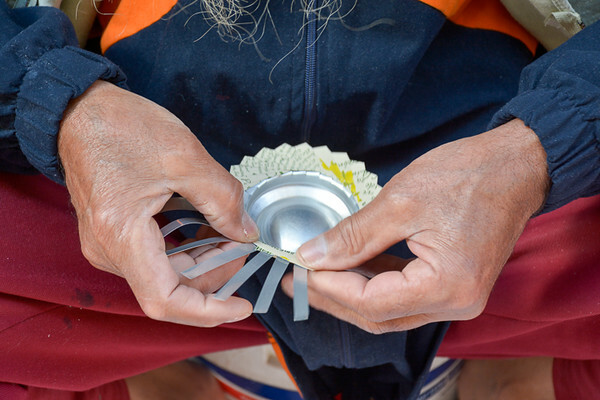 The first photo shows an old guy (note the tips of his scraggly, white, tummy-touching beard) making coasters/ornaments (2€ each or 3 for 5€) from empty soda cans. 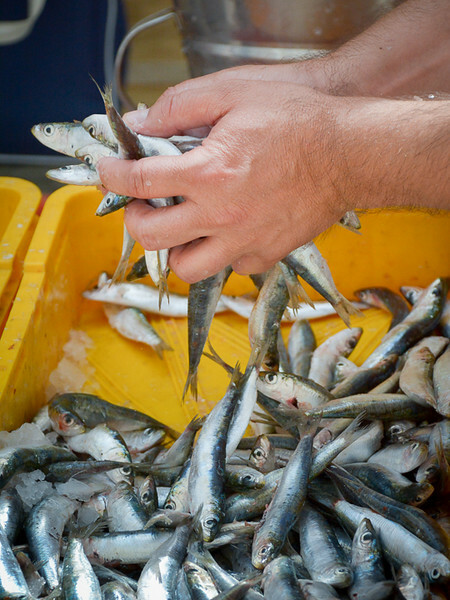 The second shows a fishmonger serving up a handful of just-caught sardines. The third turned out to be a lot more interesting than I expected. 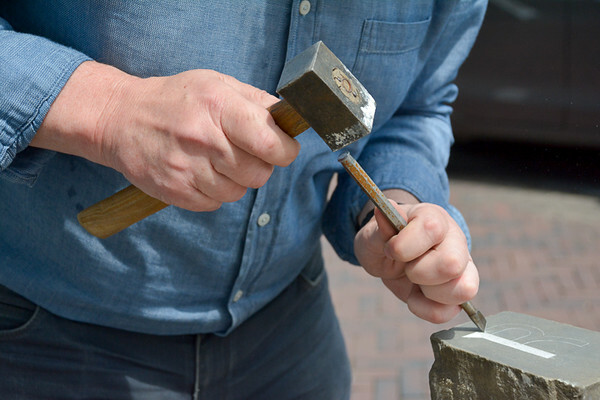 I was walking along the Oudegracht ("old canal") in Utrecht when I saw this guy meticulously incising the letter 'R' on a paving stone -- a no-brainer for my "Hands" project. I stopped to ask permission and while I was taking pictures, a young girl handed me a leaflet that (I assumed) explained what he was doing. Since I know hardly any Dutch, I noted the web address, planning to read the Google translation sometime later. Turns out, I had stumbled upon the "Letters of Utrecht" -- an evolving poem, carved in stone, one stone per week, one letter per stone. Every Saturday, the reigning poet reveals the next letter to a volunteer stonemason who chisels and sets the stone -- slowly creating a work of art for future generations, five meters per year, three years per sentence, decades per verse. How cool is that!